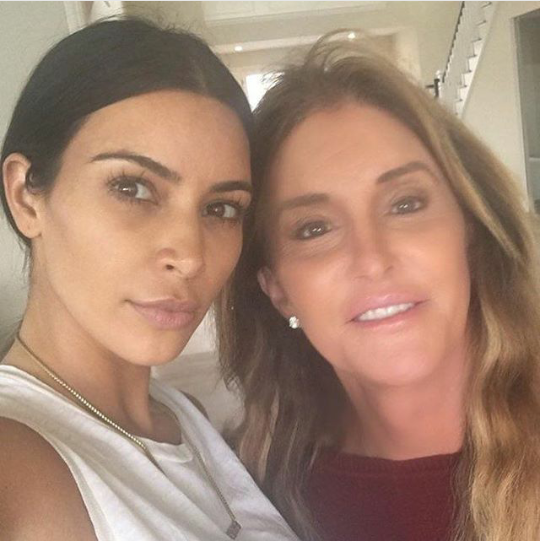 Kim Kardashian took the picture with Caitlyn Jenner at Blac Chyna and Tyga's son, King Cairo Stevenson's birthday party, held at Kylie Jenner's house. Kim reportedly attended the party with her kids. She still looks kinda distorted.